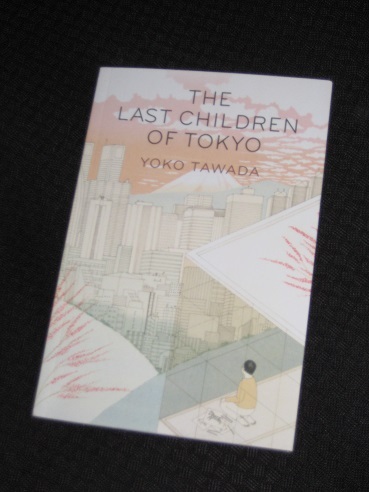 Yoko Tawada’s The Last Children of Tokyo (translated by Margaret Mitsutani, review copy courtesy of Portobello Books) is a short novel set in a near-future Tokyo, where life is rather different than it is today. As a result of unspecified pollution issues, the metropolis has been declared unsafe, and much of its population has dispersed elsewhere throughout the country. However, there have been other major changes, too, with the country once again voluntarily sealed off from the rest of the world, seemingly a response to wider global issues that humanity is struggling to cope with. Whenever he tried to imagine the years Mumei would have to go on living after his own death, Yoshiro ran straight into a wall. For an old man like Yoshiro, time after death no longer existed. The aged could not die; along with the gift of everlasting life, they were burdened with the terrible task of watching their great-grandchildren die. Yoshiro does his best to make Mumei’s life as comfortable as possible, but there’s only so much he can do for the young boy, whose body simply won’t support his life. It’s this dilemma, then, that underpins Tawada’s novel. Rather than humanity destroying itself in a dramatic fashion, our fate is shown to be a slow decline as the final generations peacefully fade into oblivion. It’s a scary tale in a way, and made more so by Tawada’s reticence to tell us exactly what has happened. She gradually lets pieces of information slip, and most of this seems logical enough (the polluted state of the capital, climate change making much of Honshu unliveable, the rise to importance of Okinawa and Hokkaido). The previous generations have made mistakes, and now it’s time to take a step back and try to fix them. In a sense, you can’t help but see the book as an allegory of our generation having to face up to our failings. Despite Mumei’s health issues, the boy is calm and never anxious, surprisingly accepting of his poor health. Yoshiro is amazed at his great-grandson’s nature and gradually realises that the best thing he can do is let the boy live his life as best he can. The old have nothing to teach the young as their generation messed the world up – now they must pay the price. It’s a rather hefty one, reminiscent of Greek mythology, with their punishment being eternal life as nappy changers. 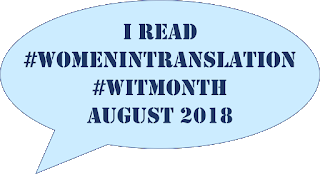 The novel is rather short, as well as heavily focused on the two main characters, and this can make it a rather claustrophobic read at times. From the start, we wonder where all the people (including the rest of Mumei’s family) are, and while this is gradually revealed, we never get all the details. If you’re looking for a wider plot, there is one, based on Mumei’s special qualities and the hope of using him to help the ailing generation. In truth, though, this angle is never fully explored, and the book leaves many questions unanswered. Like most readers (I suspect), I was frantically trying to read between the lines, wanting more information about the timeline and details of what was actually happening in the outside world. However, Tawada deliberately withholds much of this, interested instead in how her characters cope in this dystopian society. The disaster is less a fully envisaged scenario than a bare background against which the contrast of generations plays out. It can make for frustrating reading at times, but once you realise that this is about the journey, not the destination, The Last Children of Tokyo does make for a fascinating and absorbing story. Good call on Fukushima. There is an element here I think about indicting the old for the world they’ve left the young. They’ve destroyed Japan (it’s not clear how widespread the damage is outside) and the future too, and in that context what could they possibly have to teach those who come after them save don’t do as we did?